PHOENIX – With more than 700 freshmen enrolled at South Mountain High School, the Phoenix Union High School District recently placed a cap on incoming students for the first time in school history. The increased numbers may benefit the school’s athletic programs. A newly incorporated Academies program at South Mountain has drawn new students to the school and increased enrollment to 2,300 from 1,400 several years ago. 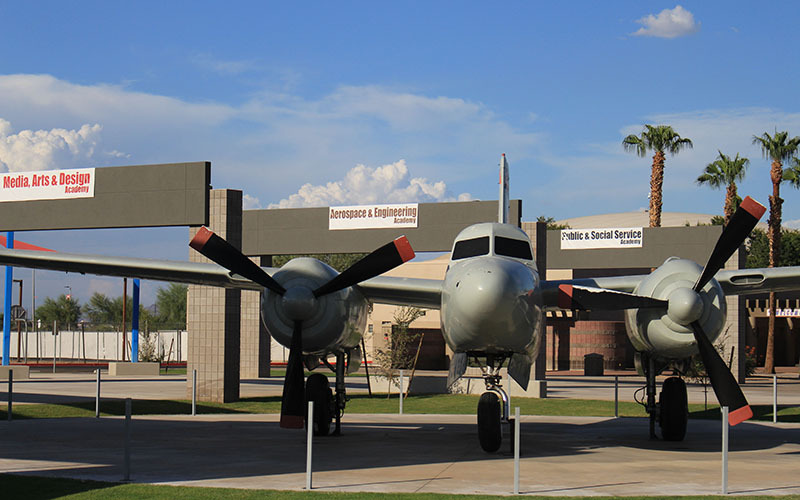 The Academies offer career-based programs in aerospace and engineering, public and social service, science and technology, and media, arts and design in an effort to attract and keep students. South Mountain has struggled to maintain its enrollment numbers in recent years amid growing competition from charter schools. And although some sports programs, including girls basketball and boys soccer, have thrived recently, lower attendance figures have affected the football team. The Jaguars, who were a local powerhouse after the school’s opening in 1954, posting state co-championship titles twice in the subsequent six years, have struggled of late, recording a 9-53 record in their past six seasons. The increased pool of talent may already be benefiting the program. South Mountain is 4-4 as it prepares for Friday night’s game against Carl Hayden Community High School. South Mountain is undergoing a $30 million renovation to create four schools within one. Construction is scheduled to be completed by the spring 2019 semester, but students already are enrolling in the Academies programs. 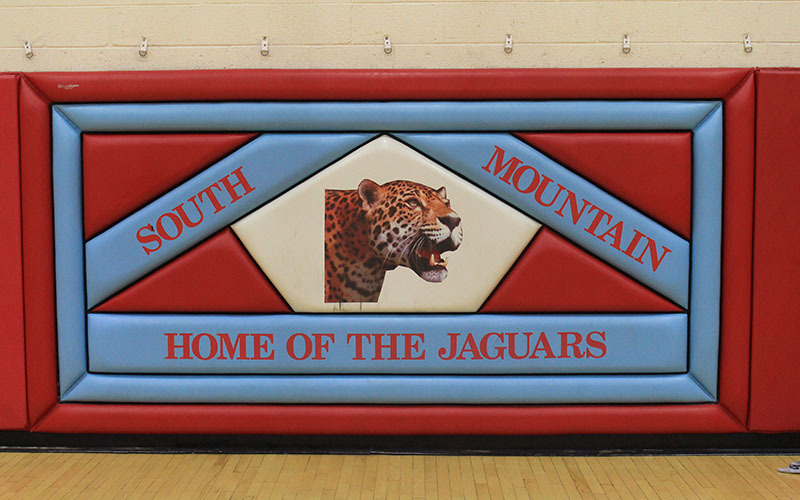 “The enrollment has went up, student participation has went up and it’s a good time to be a Jaguar right now in the South Phoenix area,” said South Mountain athletic director Brian Fair. Higher enrollment numbers typically result in more competitive athletic programs. 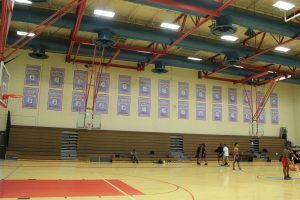 South Mountain has been struggling for years to keep adequate participation numbers for the three levels of sports competition: freshman, junior varsity and varsity. Varsity basketball coach Jeremy Soria said the increased numbers in the freshman class will benefit all of the school’s athletic programs. One of Soria’s players, sophomore Zay Freeney, believes the academies are something that will help shape his future. “I like how we get actual cases to work on and we have lawyers and even a judge come talk to us.” said Feeney, who plans to pursue a career in law. By giving students the opportunity to become part of a big high school campus while focusing on a smaller, specific learning environment geared toward their interests, South Mountain is keeping students engaged, said Fair, who believes the Academies help students see new possibilities for their future beyond high school. “We’re providing a lot of programs for kids to better equip them for their career aspirations,” Fair said. And in the process, the sports program may benefit, too.